KiptonART is pleased to announce a cocktail reception to celebrate the artwork of artist Paul Seftel in Los Angeles, CA September 21st. Hosted by Jennifer Bell, Kipton Cronkite and Christopher Westley, for this event we kindly request an RSVP through the KiptonART website. 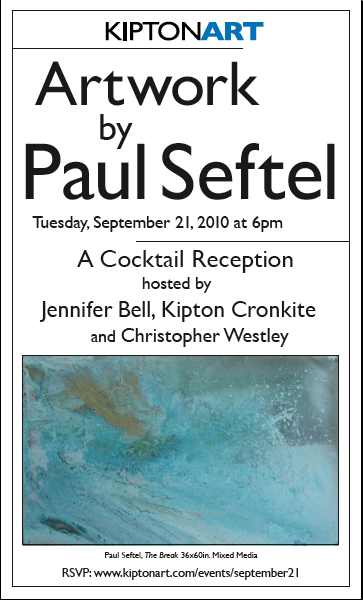 Check out Paul Seftel's Artist Profile.